C & B Construction of Cottonwood, AZ. : The U.S. Environmental Protection Agency has recognized C & B Construction for its outstanding commitment to constructing homes with improved indoor air quality through participation in the Indoor airPLUS program. C & B Construction was one of only three homebuilders to be honored with a 2014-2018 Indoor airPLUS Leader Awards. C & B Construction as one of the distinguished winners in the small homebuilder category, constructing a total volume ofless than 30 homes per year. All Indoor airPLUS homes also meet strict energy efficiency standards established by the ENERGY STAR Certified Homes program. 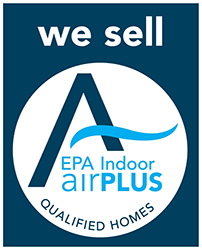 Homes displaying the Indoor airPLUS and ENERGY ST AR Certified Homes labels provide unparalleled energy efficient, comfort, durability, indoor air quality, and peace of mind. For more information on C & B Construction and its commitment to Indoor airPLUS qualified homes, visit the website for our subdivision Grey Fox Ridge at greyfoxridge.com. To learn more about the 2014 Indoor airPLUS Leader Awards or the Indoor airPLUS Program, visit www.epa.gov/indoorairplus.